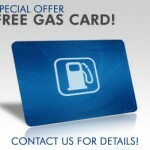 Free Gift Card Offers and More! Everyone loves gift cards; they let you get anything your heart desires, whenever you want it! We love them so much that we search the web daily to bring you the very best FREE gift card offers, whether you’re looking to shop at Walmart, get a Little Caesar’s pizza, order from Best Buy, or virtually anything else. The list is endless, and we’ve always got more! Get a FREE $10.00 Wines by Wives Gift Card on Friday, May 10th at 1PM EST for the first 2,500 people who gift their friends! FREE $10 Tanger Outlets Gift Card – You will have to print or show the offer on your mobile device at Shopper Service to redeem your gift card! Offer valid January 1st – 4th, 2013! Two hundred FREE BEST BUY Reward Zone Points!